Battery low on power? You might not need a replacement just yet. These recommended charging procedures can help you keep your battery operating at full power. Before charging your battery, refer to your owner’s manual and your battery charger manual for instructions. Battery chargers will charge a battery based on its condition and at a rate appropriate for its state of charge. 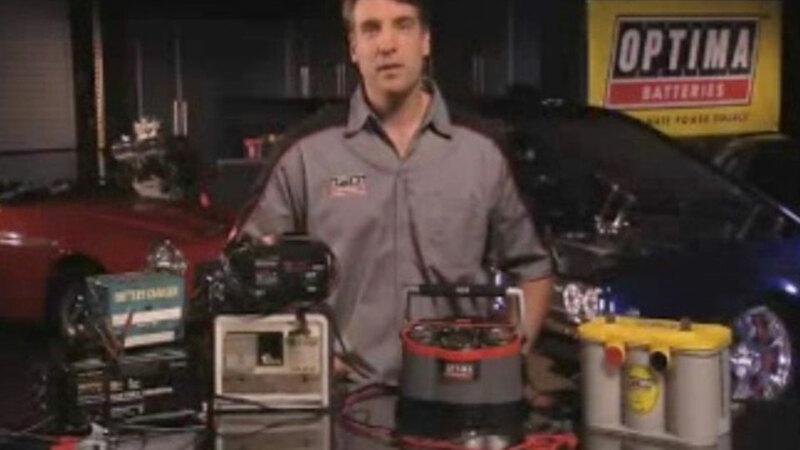 Charging voltages run from 13.8 volts to a maximum of 15.5 volts for most applications. Lastly, Remember that batteries contain sulfuric acid that can cause severe burns, and hydrogen-oxygen gases that can be explosive. Review the safety instructions that came with your charger and battery. Make sure the battery terminals are clean and free from corrosion. Do not attempt to charge a dried-out battery. If needed, add distilled (or drinking) water to just above the battery plates. Do not overfill. Refer to any written instructions provided by the battery and charger manufacturers. Identify the positive and negative terminals of the battery and attach the correct charger leads. If charging a battery connected to a vehicle, be sure that the vehicle’s electrical system has protection against overvoltage or be sure that the charger will not have high-charging voltages that may damage the vehicle’s electrical system. A demonstration of the battery-charging capabilites of the OPTIMA Digital 1200. Learn more about OPTIMA Digital Chargers.